Strategy games should be fun! Maze shows a maze on your computer screen, and lets you solve it on the screen or print it. YOu can specify the size of the maze and difficulty. Each maze has a number, so you can recreate the same maze again. Use the mouse or arrow keys to solve a maze on-screen. Kids love it. This is free copyrighted software. You may give it away or sell it. I encourage others to put it on their web page for download. You are not allowed to modify it, and if you make copies, you must include all of the component files. If you like maze, please come back and check out our other game software. Click here to download maze.exe (276 KB). This is a single executable file. Save it in a folder (recommended c:\program files\maze). Right click on your desktop to add a shortcut to make it easy to run. 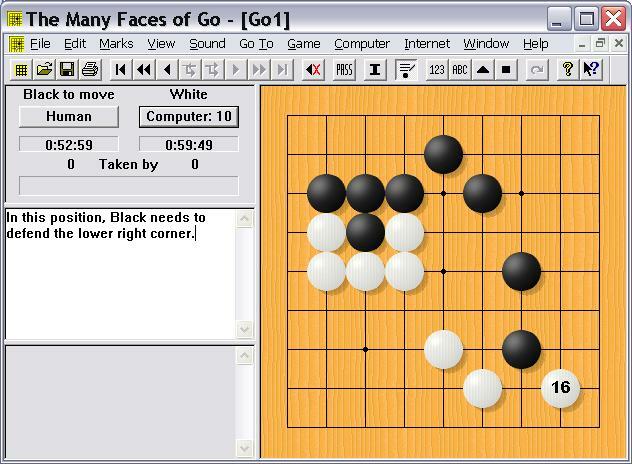 Igowin: free software to learn to play the Asian strategy game "go". Click here to download the most popular free program to play go. If you like Go, you will also like Arimaa, a new two player strategy game. I've written the world champion computer arimaa program. Click here to download a free trial verision. Strongest go player. Two time world champion, 10 time US champion.